Check out these cheats which include unlocking extra custom classes, unlocking Nazi Zombies mini-game and unlocking multiplayer weapons and challenges. A large collection of hints and tips that will help you in the game. These include getting the flamethrower and ray gun and how to reload quicker. 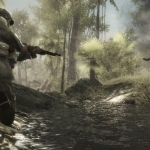 We have 154 questions and 334 answers for Call of Duty: World at War. Check them out to find answers or ask your own to get the exact game help you need. BUTTONS FOR MY BAZOOKA ON PERKS ? What is the best way to beat nazi zombies for PS3? Can someone help me I relly want a mod menu but I don..
How do you do multipiplayer and xbox live at same tim..
Can I play with three players while on the same team? 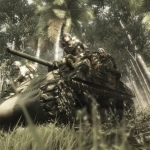 There are 20 trophies for Call of Duty: World at War, click here to see them. We have a large collection of videos for you to check out which includes Death Cards, maps and anti-tank strategies. 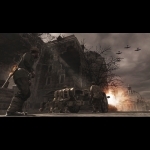 Set during the second World War this game features Campaigne mode, Multiplayer, and a new game mod..
COD:WAW shares many similarities with COD4. 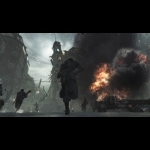 The graphics are touched up a bit, though they look th.. Need more guns for Nazi Zombes? How to have more than 2 weapons in n..
Is there a cheat to unlock nazi zomb..
How do I change my split screen back..